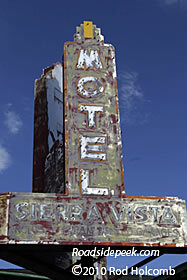 Check out this old marquee for the Sierra Vista Motel in Flagstaff. The origins of the motel date back to 1937. It's hard to read the lettering on the bottom of the sign that advertise it's steam heated garages. Check out a couple of shots of the Wigwam Motel in Holbrook, close cousin to the one in Rialto. Here's a vintage look at the teepees, complete with a look see at some old cars. Here's another shot of the Wigwam Motel in Holbrook. Again, vintage car treasures grace the motel lot. This huge sign is for the Downtowner Motel, conveniently located near the trains in old town Flagstaff. This motel was first known as the Nackard Inn Motel and Hotel, built in 1929 just like the Du Beau Motel. The motel is now known as just the Downtowner Motel. 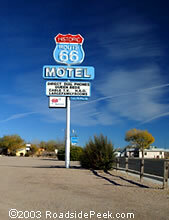 The Route 66 Motel in Seligman sits near the entrance or exit (depending on direction) off Route 66. 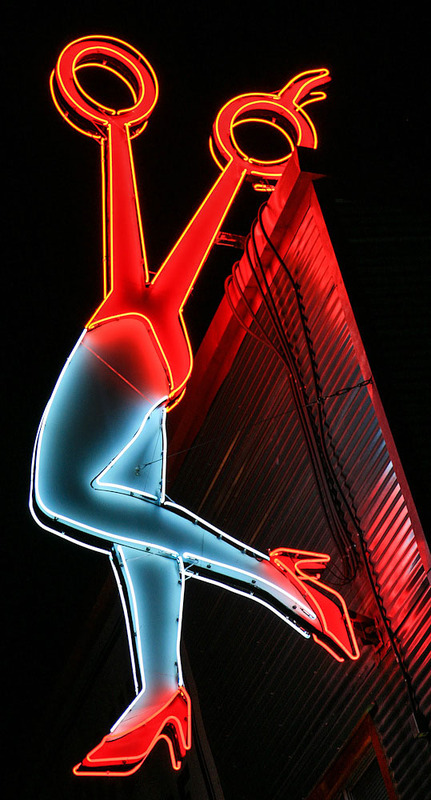 The DuBeau Motel is another old classic sign located in the Flagstaff area, near Route 66. 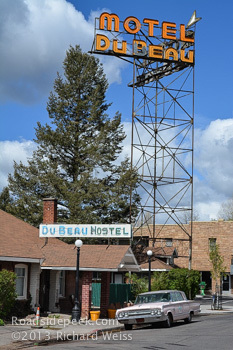 The motel was built in 1929 as the Motel Inn by Mr. And Mrs. A. E. DuBeau. 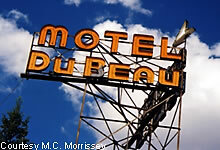 The DuBeau was the city's first motel.